Once upon a time, Tesla chief designer Franz von Holzhausen revealed that Tesla Motors would develop what he referred to as BMW 3-Series competitor. As von Holzhausen claimed, this entry-level Tesla could be launched in 2015 or later (we'd place our bet on later). 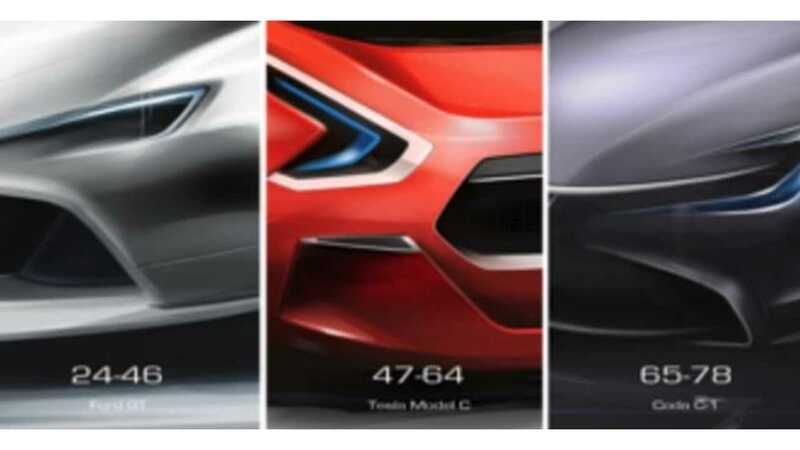 Furthermore, Tesla's design guru stated that this vehicle, which is often referred to as the Tesla Model C (C is for compact), would feature distinctive styling and a target base price of approximately $30,000. No matter the angle, this Model C is radically different than any Tesla-badged vehicle. Though not much has been mentioned of the Model C in recent months, we've come across a radical sketch from a former Tesla intern that may hint at the distinctive styling we'll see when and if Tesla's BMW-fighter debuts. These sketches, drawn up by Hyonwoo Jason Kim, we're released late last month on the Art Center College of Design's website. 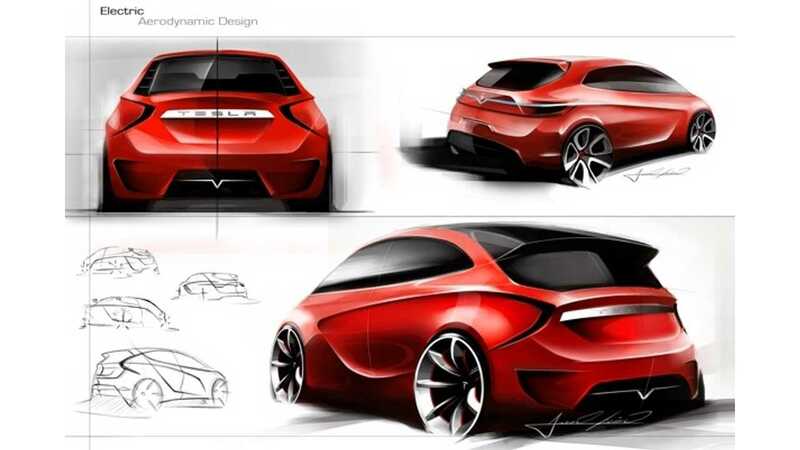 Kim, a Tesla Motors design inter from January 2011 through May 2011, likely sketched his interpretation of the Model C under Tesla's direction. 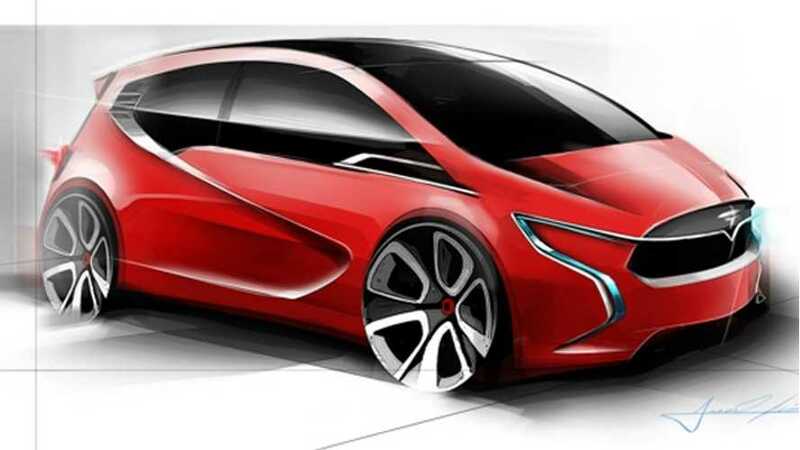 This eye-grabbing compact (or possibly even subcompact) concept is certainly more radical than any Tesla-badged vehicle or concept we've laid eyes on, but as von Holzhausen previously stated, distinctive styling will be part of Tesla's future focus. Kim's concept does feature a few design cues found on the Tesla Model S, most notably in the treatment of the front grille and shape of the vehicle's roof section, but that's where the comparisons end. While this specific design may be a bit too radical to make the production cut, there's a lot to like here and we applaud Kim for his masterful work. Full credit for this radically designed Tesla Model C concept goes to Tesla intern Hyonwoo Jason Kim. To check out more of his spectacular works, click here. Look closely...It definitely says Model C!